In his welcoming remarks, James Soh, Co-Chair of the APEC Voices Leadership Council, said that the theme chosen by host Vietnam “Creating new dynamism, fostering a shared future”, is fitting for the younger generation in the Asia-Pacific region. “Youths exude creativity and dynamism, and when nurtured in the right direction, they can be the driving force for a nation’s future,” he said. 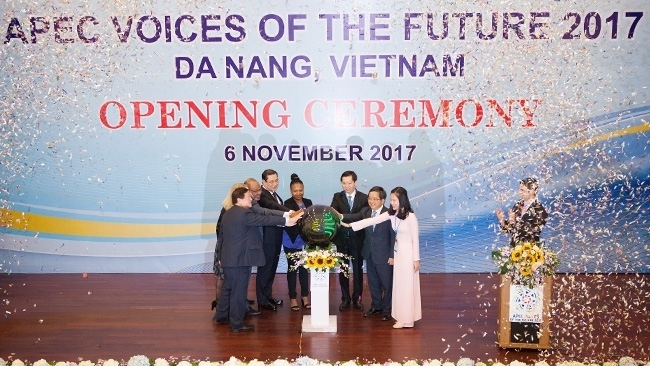 Addressing the opening ceremony, Chairman of the Da Nang People’s Committee Huynh Duc Tho appreciated the importance of the APEC Voices of the Future, which he said is a forum where young people have the opportunities to approach practical knowledge shared by the leaders. Nguyen Long Hai, Secretary of the Ho Chi Minh Communist Youth Union and Vice Chairman of the National Committee on Youth of Vietnam expressed his hope that the youth delegations would actively participate in discussing the contents, programmes and action plans, while proposing initiatives and valuable solutions to promote APEC youth cooperation, as well as enhancing the APEC youth’s engagement in addressing development issues of APEC both regionally and globally. During the plenary session, the delegates make presentations on how to create new dynamism, fostering a shared future among young Asian-Pacific people. They also work in groups, focusing on four topics: the contributions of the youth to APEC Vision beyond 2020 and the future; economic, financial and social integration, human resources development in the digital age and policies to support start-ups, renovation and small and medium-sized enterprises. 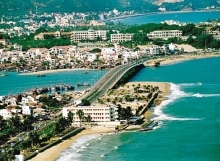 As part of their working agenda, the delegates will visit several places in Quang Nam province, including attractive tourist destinations such as Tam Thanh mural village, UNESCO-recognised Hoi An ancient town, Thanh Ha pottery village and the lantern makers in Hoi An. The APEC Voices delegates will be rotated in small groups to attend the APEC CEO Summit 2017 on November 9 and 10. On the evening of November 10, Quang Nam province will host the closing programme, including an art performance and exchanges between local students and their peers from APEC member economies.